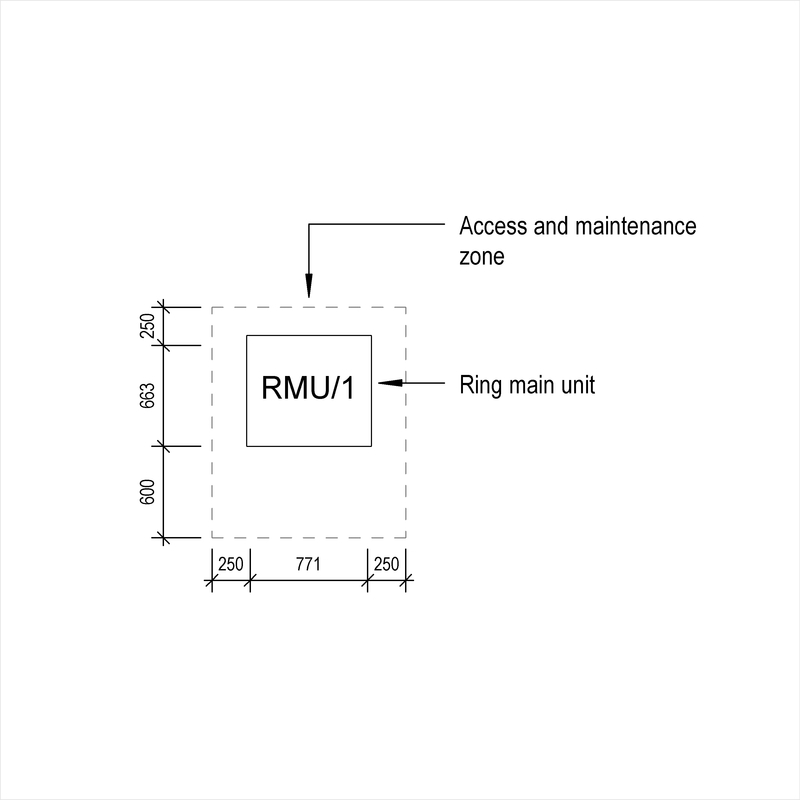 Ring main units are described by characteristics such as standards, internal arc classification and mounting arrangement. An example use may be within a high voltage distribution system. 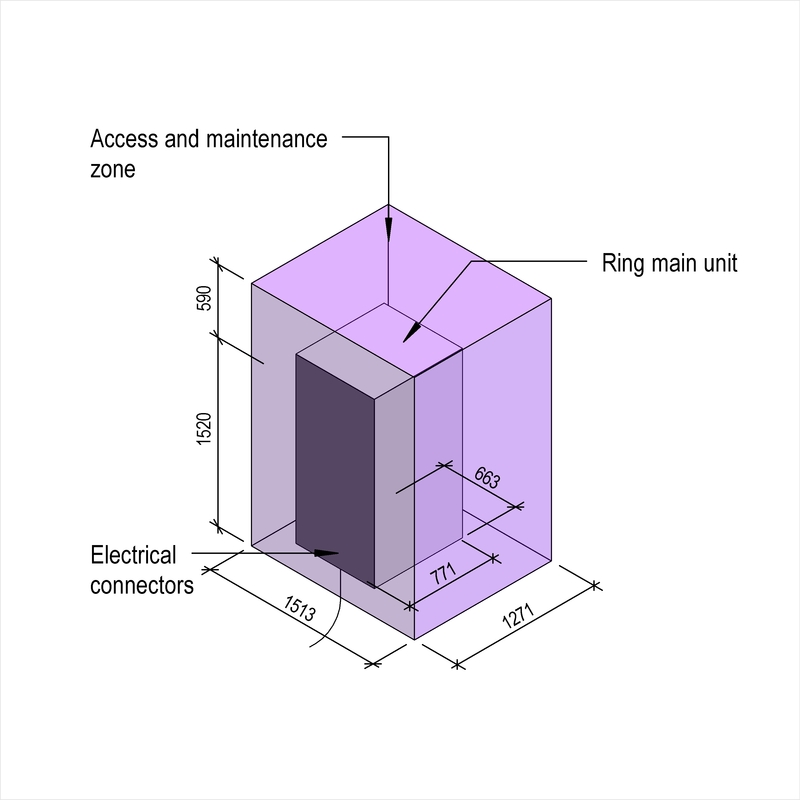 Complete this electronic spreadsheet to ensure that your High voltage ring main units product information meets the requirements of Level 2 BIM. This is important as it will enable your customers to select, specify and use your products within the BIM environment. Once you have completed this template you can host it on your own website or distribute it to your customers. Please note that we do not host completed product data templates within the BIM Toolkit. The above illustrations are for High voltage ring main units from the NBS section High voltage switchgear and transformers. This is indicative of the LOD requirements for High voltage ring main units. Manufacturer The Manufacturer of the High voltage ring main units. Standards An example value being To BS EN 62271-1, BS EN 62271-200 and IEC 60466. Third party certification An example value being To ENA TS 41-36. Internal arc classification An example value being To BS EN 62271-200, class AF. Mounting arrangement An example value being Free standing. Switchgear arrangement An example value being Left hand extensible (when viewed from front). Rated voltage (Ur) An example value being 3.6 kV. Rated insulation levels - Rated lightning impulse withstand voltage (Up) An example value being 40 kV phase to phase, phase to earth. Rated short time withstand current (Ik) An example value being 16 kA for 1 s.
Enclosure - Mechanical protection (minimum) An example value being To BS EN 62262, IK08. Enclosure - Colour The Enclosure - Colour of the High voltage ring main units. Enclosure - Cable entry An example value being Bottom. 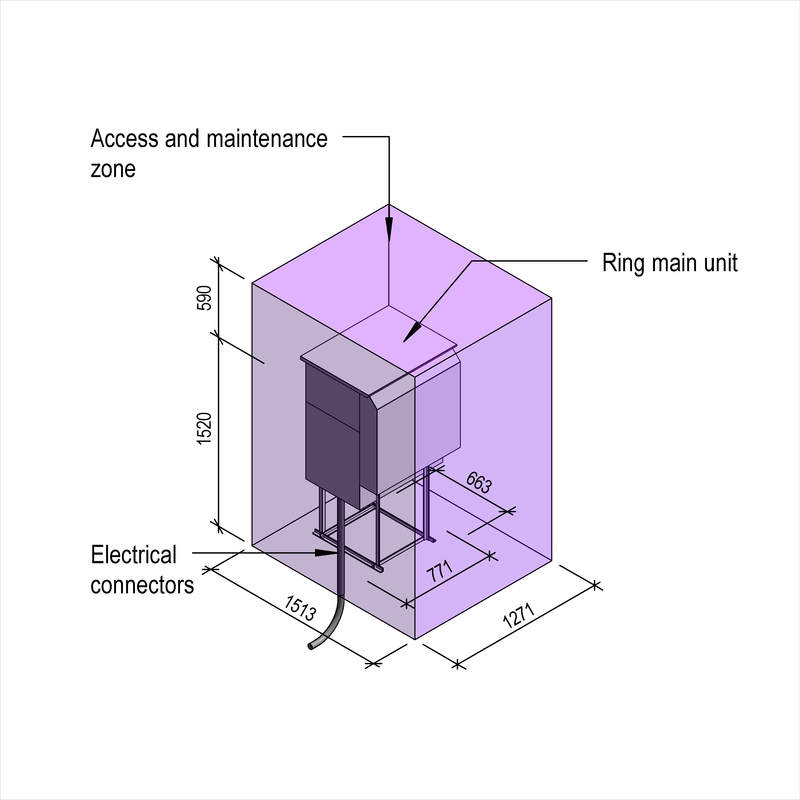 Dimensions - Width (maximum) The Dimensions - Width (maximum) of the High voltage ring main units. 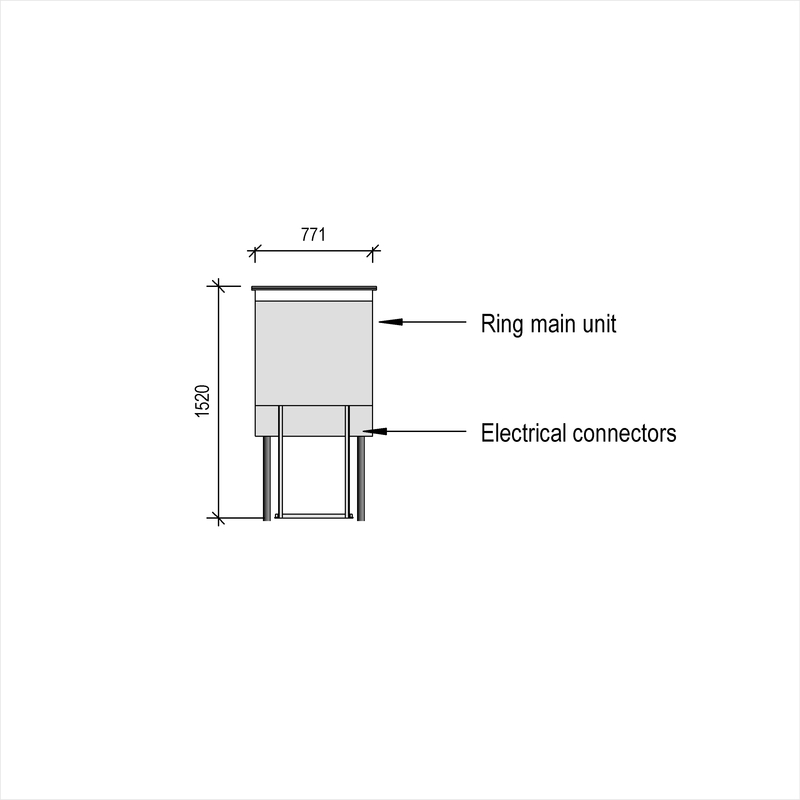 Dimensions - Height (maximum) The Dimensions - Height (maximum) of the High voltage ring main units. Dimensions - Depth (maximum) The Dimensions - Depth (maximum) of the High voltage ring main units. Busbars - Standard An example value being To BS 159. Busbars - Material An example value being Bare copper. 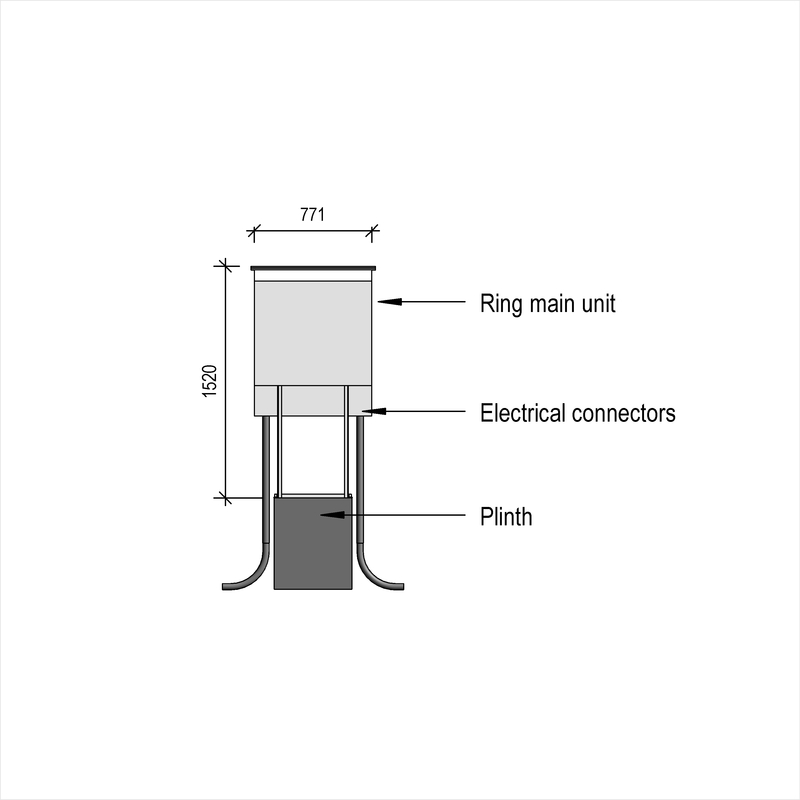 Busbars - Supports An example value being Stand-off post insulators, busbar joint to be silver-plated and fully bolted. Busbars - Rated normal current (Ir) An example value being 200 A. Ring switches - Standard An example value being To BS EN 62271-102 and BS EN 62271-103. Ring switches - Format An example value being SF with integral fault making earth switch. Ring switches - Enclosure An example value being Earth screened cast resin encapsulated, sealed for life, maintenance free. Ring switches - Rated normal current (Ir) An example value being 200 A. Ring switches - Rated short circuit making current (Ima) An example value being 40 kA. Ring switches - Switch class An example value being E1. 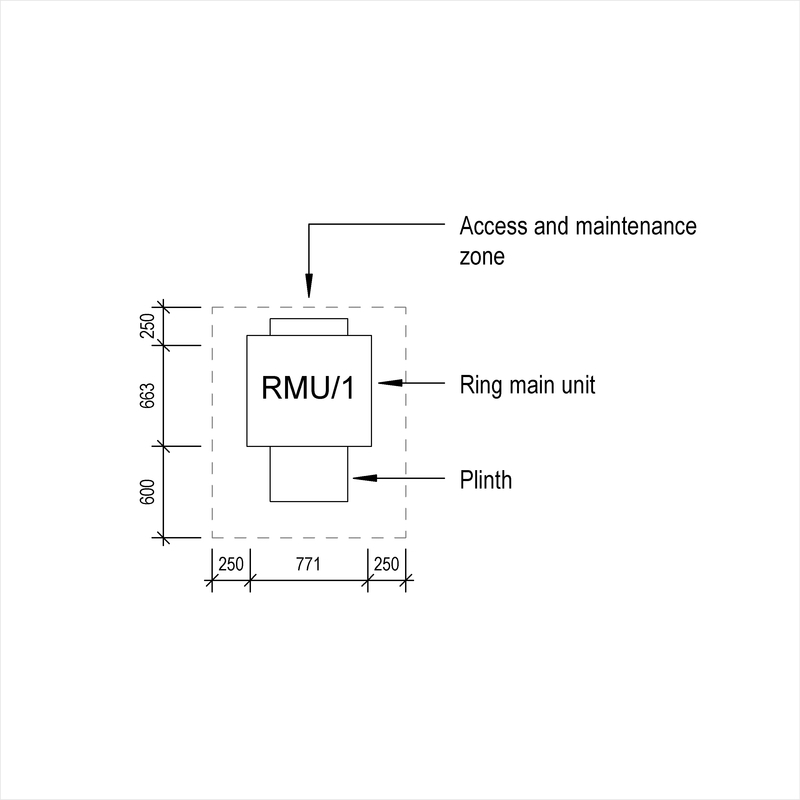 Ring switches - Operating mechanism An example value being Independent manual. Ring switches - Auxiliary switch An example value being Two normally open and two normally closed contacts. Ring switches - Mechanical interlocking An example value being Mechanically interlocked to prevent operation unless the main switching device is in the ‘off’ position. 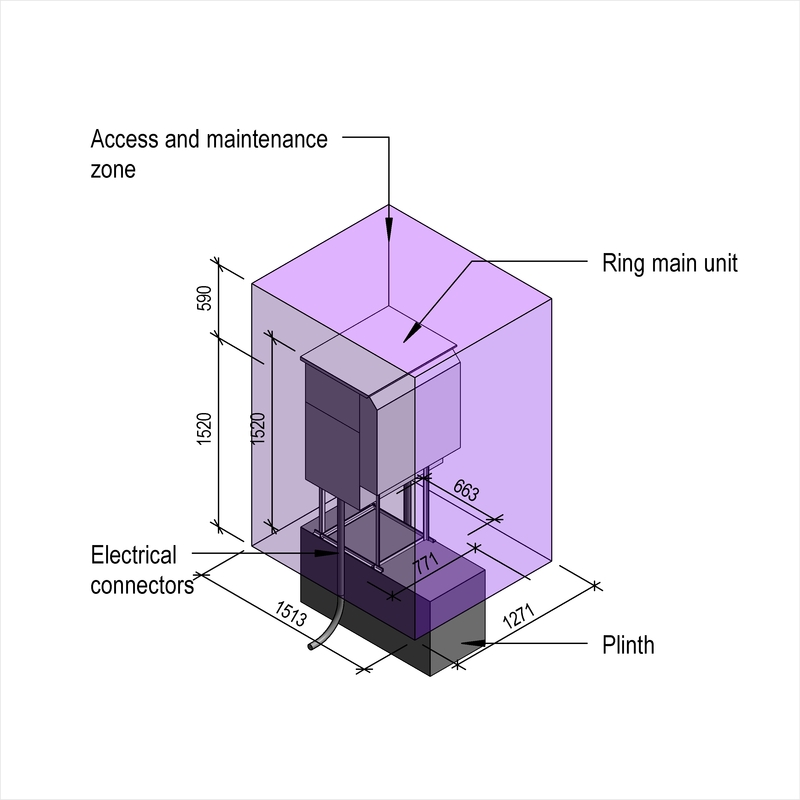 Ring switches - Locking mechanisms An example value being Key-locking in open/ closed or earthed positions. Circuit breaker - Standard An example value being To BS EN 62271-100. Circuit breaker - Format An example value being SFwith integral fault making earth switch. Circuit breaker - Method of installation An example value being Fixed. Circuit breaker - Rated normal current (Ir) An example value being 200 A. Circuit breaker - Rated short circuit breaking current (Isc) An example value being 16 kA. Circuit breaker - Rated short circuit making current (Ima) An example value being 40 kA. Circuit breaker - Rated operating sequence An example value being O–3±CO–3. Circuit breaker - Circuit breaker class An example value being C1. Circuit breaker - Operating mechanism An example value being Independent manual. Circuit breaker - Controls An example value being Closing pushbutton. Circuit breaker - Mechanical interlocking An example value being Selection between 'Main' and 'Earth' to be mechanically interlocked and means provided to allow for padlocking in either position. Display of operation An example value being Colour coded pictograms. Voltage detection system An example value being Integrated voltage indicator showing operating voltage present and loss of individual phase, and test sockets.